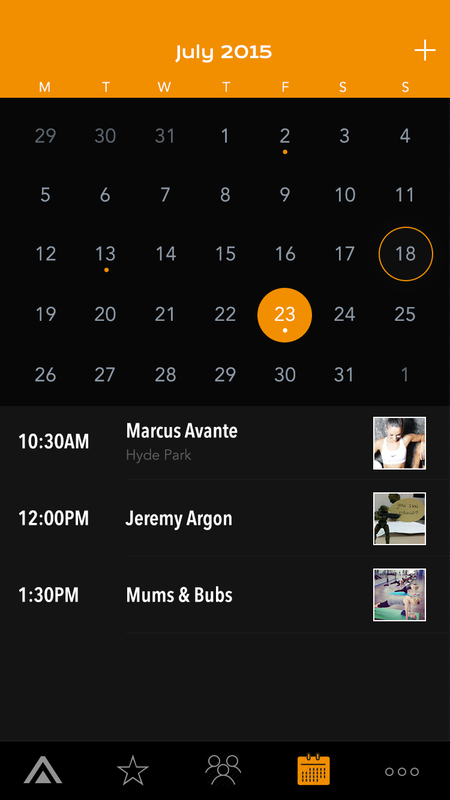 It's like having your Personal Trainer in your pocket. 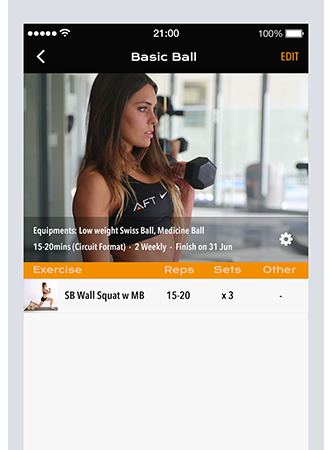 Sync with your Personal Trainer and get more out of your personal training session. Always wanting to do the drill you did at the PT session again by yourself? Sync the program your PT has created just for you and follow the easy step-by-step guide. It’s like having your Trainer in your pocket. 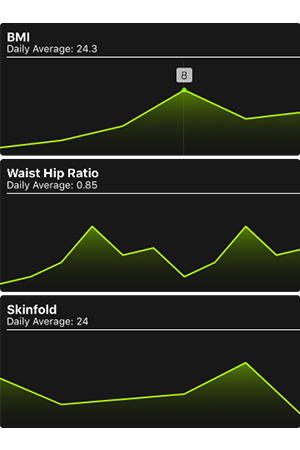 Your latest results for BMI, W/H ratio & Total Skinfolds are graphed and shown in your own AFT+ app. Keep all of your health assessments in one place. 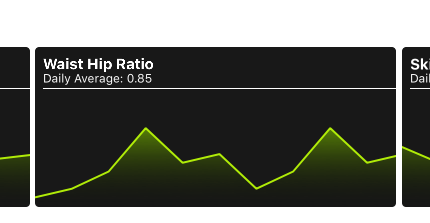 Progression graphs along with your complete health screening results can be seen in your very own app. Who is the AFT+ app designed for? How does the AFT+ app work? How do i get my own AFT+ app or get my clients to? Simply go to the apple App Store and search AFT+. What can I see on my AFT+ app? 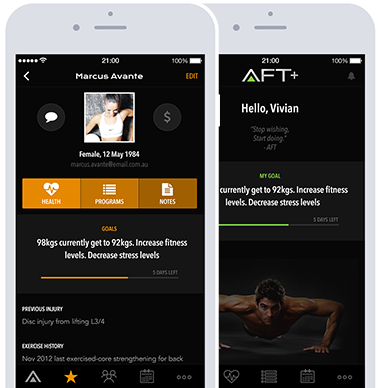 The AFT+ syncs to your trainers AFTPro app. 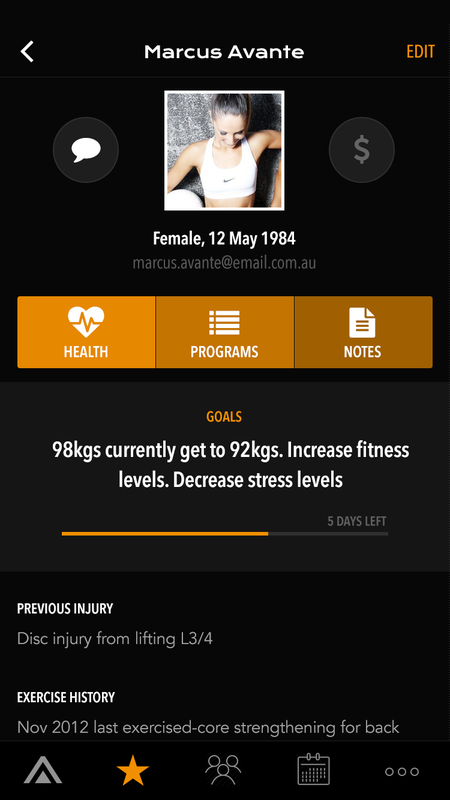 Your complete profile, goals, booked sessions all health assessments, programs and exercises. If I change devices can I still access my data? Yes, as long as you have your log in details. If I lose or forget my log in details how do I retrieve them? What are the advantages in having my very own AFT+ app? Your Personal Trainer can now instruct, lead & guide you outside of your paid session. 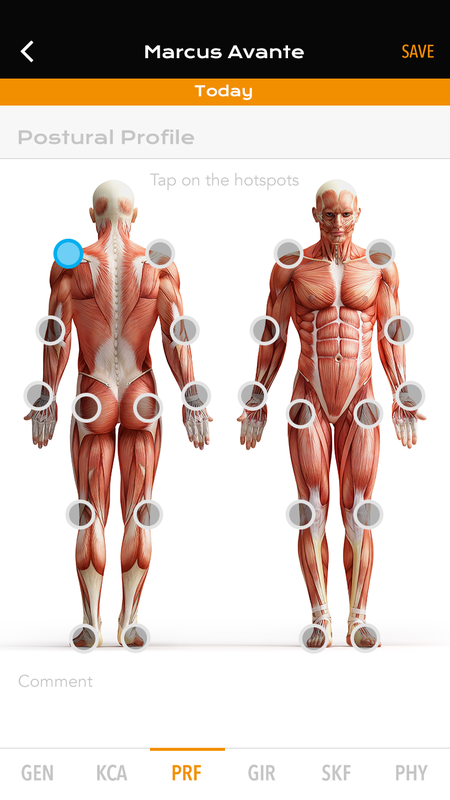 Your programs & exercises designed by your PT you can now see not on a piece of paper but on your smartphone. It's like having your PT in your pocket! Do I need to be 'online' using either my internet connection through my device or wifi? Yes the AFT in order to store and save your data entered, must be online so such information can be saved to the AFT servers. As an AFT user do I have access to all AFT partner deals and discounts on products and courses etc? Yes, all AFT users whether AFT,AFTPro or AFT+ have access to our national and international partners.